The summertime is here. People are out and about enjoying the warm weather, perhaps playing sports, like baseball, hiking, biking or swimming. Sometimes our bodies cannot keep up with our desires and you may suffer a sports injury. A pulled groin or a sprained muscle can be a real pain to deal with. You want to heal and recuperate as fast as possible so you can get back to your activities or work. Sports Injury Doctors Garden City Michigan, are at the Westland Clinic. The Westland Clinic provides the health care you deserve. The Sports Injury Doctors in Garden City Michigan at Westland Clinic will help you rehabilitate in no time and be there for you every step of the way. Westland Clinic is the place for sports injury doctors in Michigan. 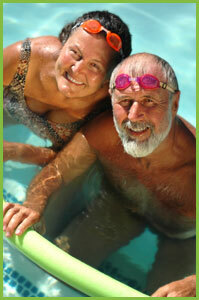 Recently strained a muscle at the local pool swimming? Looking for a sports injury doctors in Michigan to help you with your strained muscle? The friendly professional staff at Westland Clinic will help you deal with your strained muscle by using the most up-to-date techniques and procedures. If you need a sports injury doctors in Michigan, Westland Clinic is here for you, contact us or give us a call today at 734.728.2130.